All you need is 60 seconds and you're on your way to a more meaningful Passover! We can't always get rid of all Chametz (leavened products), so there is a simple solution which involves selling our Chametz to someone who isn't Jewish for the duration of Passover. 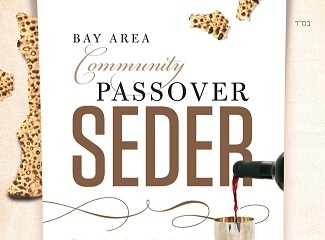 The Community Seder to be held on the first night of Passover, Friday, April 3, 2015 in League City. Take a guided tour of the Haggadah and discover its profound deeper messages that can empower us to attain true personal freedom. The class will also include a Q&A on some of the practical aspects of Passover observance. Shmurah Matzah is a round, completely hand-made matzah, that is made with grain that has been guarded ("Shmurah") from the moment of harvest to avoid any moisture (which could make it leaven) and then carefully processed by hand right up until its baking in a wood burning oven. 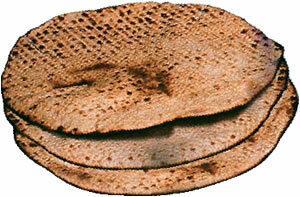 It is best to fulfill the Mitzvah of eating Matzah on the Seder nights with Shmurah Matzah (Learn more about Shmurah Matzah). Remember, quantity is limited so order today, first come first served! 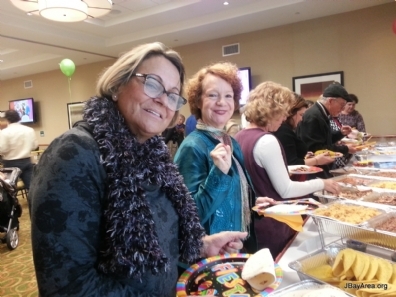 A great time was had by all at the Mexican Purim Fiesta held yesterday at the Hilton Garden Inn! Highlights of the event included a delicious Mexican style buffet dinner, live mariachi entertainment, a game show and a multi-media Megillah reading. Sponsors: Ida & Boris Berezin, Lynn & Jimm Donovan, Ida Diamond, Art Sadin and Jack & Joanna Sasiene. Volunteers: Malka & Dovber Coates, Tina Paul, Alma Townsend and Debbie & Keith Watt. And a special thanks to our host committee! See photos at: www.JBayArea.org or www.Facebook.com/JBayArea.